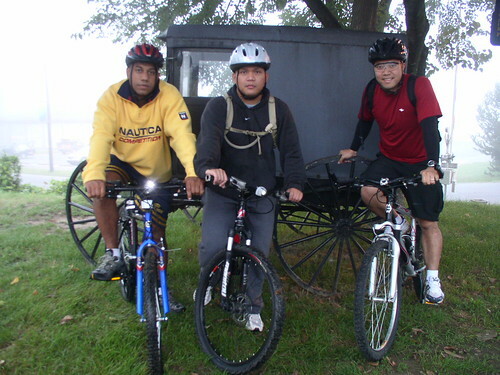 Carl, Allen and I rode to City Island this morning. We started at 6:00 am because Allen had to be at work this morning. 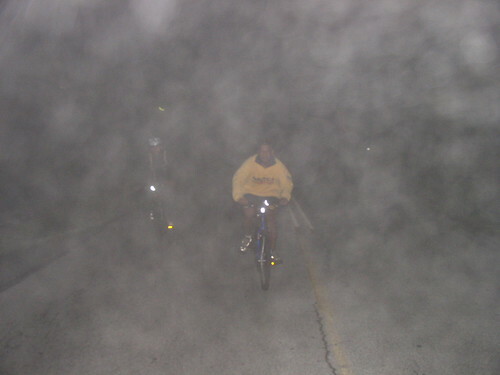 It was a bit chilly and really foggy. It seemed like I got drenched from the moisture within a few minutes. It was Carl’s first time out by bike with us so we took it easy on him. It felt like we were driving Miss Daisy at times. Then again, the bike he used was one of those Wally World blue light specials and was pretty heavy. Of course we didn’t tell him that until the end. The three amigos in front of an Amish buggy in City Island. Victory lap around the Island. Don’t tell me these Marines were holding hands! It was a Kodak moment.